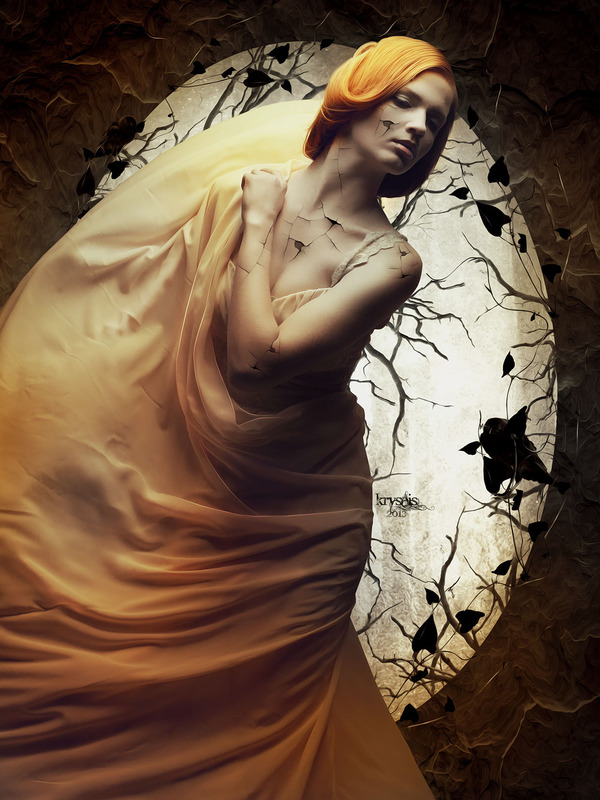 Photo manipulation is the most creative form of art that is known in the digital age. Digital Age – the age of creative people with unlimited imagination and unbounded tools. A young French graphic and digital artist Carole Sanson / Kryseis Art is the one who definitely lives in the right age and in the right place. She lives in her own kingdom that is called Photo Manipulation. Let us accept it, she is a legitimate queen in there. Carole has started as an amateur and now she has reached quite a high level in her artwork. She easily takes ordinary photos and transforms them into an alluring, seductive, unexpected and totally amazing masterpieces. Using Photoshop Carole express her imagination and original ideas creating magical women characters with passionate beauty. Her favorite genre of music is Metal and her favorite style of art Dark.